Visitors looking for a destination experience will be delighted in Farm Brew LIVE’s bold beers, hand-crafted food, and local music talent. 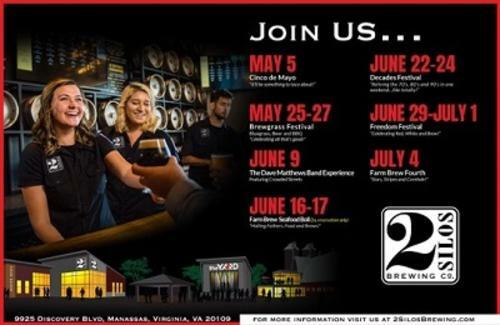 Farm Brew LIVE is an eight-acre campus located at the site of the historic Thomasson Barn in Prince William, VA. Farm Brew LIVE encompasses 2 Silos Brewing Company and tasting room, The YARD outdoor live music venue, the Pit BBQ and beer garden, and La Gringa Food Truck which are all open to the public. Two other campus venues The Great Hall and The Black Sheep whiskey + wine + noshery are expected to open later this year. 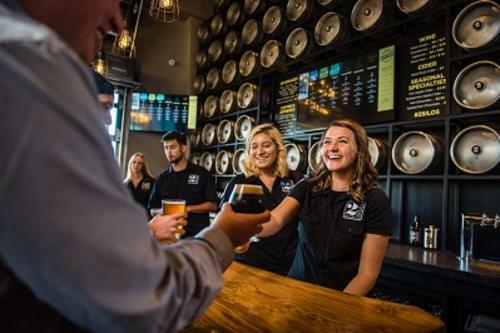 2 Silos Brewing Company is a 30-barrel brew house, capable of producing 15,000-20,000 barrels per year. “We are committed and proud to create a diverse line-up of unique, high-quality beers with bold personalities,” said Forrest Morgan, Co-Founder & Head Brewmaster of 2 Silos Brewing Co.
2 Silos Brewing Co has five year round flagship brews: Cream Ale, Black IPA, Imperial Stout, Pale Ale and Belgian White as well as a barrel-aged series and seasonal releases. Click here to see what&apos;s currently available on tap. 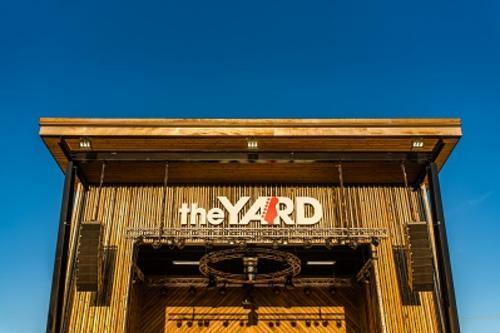 The YARD is an outdoor music stage that will feature local and regional artists. The Yard will re-open for outdoor performances with the return of Spring’s warmer weather. The Yard’s live music schedule can be found here. There are plenty of dining option for guests of Farm Brew Live. The Pour House features hand-crafted pizzas and other tasty nibbles on their menu. Craving BBQ? Enjoy a pulled pork sandwich made with homemade BBQ sauce or a brisket served on a brioche bun at the Pit. La Gringa Food Truck specializes in empanadas and other foods fried to perfection.